Welcome to www.holidays-jersey.com, our site is intended to be a useful resource to help you plan and book your next holiday to Jersey, one of the UK Channels Islands. We offer a wide range of holiday accommodation suitable for couples, families and groups, all bookable online 24 hours a day. Early booking Jersey holiday offers are now available for 2014! 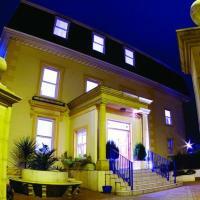 Follow us on Facebook and Twitter for future Jersey hotel offers in 2013 & 2014. Looking for family holiday ideas for half-term, Easter or for Summer 2013? Jersey is an ideal destination for the school holidays as it is reachable in about an hour from the UK and is the perfect destination for a winter holiday as it has a warmer climate than the rest of the UK. Book your flights to Jersey now to get the best prices for 2013! Traveling around Jersey is really easy and affordable as there is a fantastic bus service. Buy a Multi-Journey Bus Pass and have unlimited travel around Jersey! For golfers, Jersey is a popular golf holiday destination as there are plenty of golf courses including the famous Royal Jersey Golf Club plus Les Mielles Golf Club, Les Ormes Golf Club and Wheatlands Golf Club. If you are looking to book a relaxing spa holiday in Jersey then there are several luxury hotels which offer spa treatments. Jersey is situated just 14 miles from the French coast and has 50 miles of beautiful coastline with a wide range of excellent sandy beaches suitable for young families who enjoy making sand castles, swimming and sunbathing. If you are more energetic then surfing, windsurfing and longboarding are also popular in Jersey. 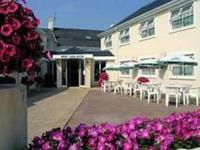 Please read more about Jersey holidays in our Jersey tourist information section. Set in a beautiful location, St Brelade's Bay is Jersey's most popular resort beach and features a large sandy beach with a tiny jetty and seaside parish church at the western end. The popular Beauport Beach on the south coast is one of Jersey's best beaches and an authentic sun trap. South facing and surrounded on three sides by the cliff, the beach loses the sun in the late afternoon but is sheltered well from the winds. The popular long stretch of sandy beach at Grouville Bay is safe for bathing and ideal for many activities, especially water sports. Many Jersey hotels offer relaxing spa holidays so you can pamper yourself. The spas offer a range of spa treatments which include detox body wraps, full body massages, Indian head massages, jacuzzi and saunas. Jersey is a perfect destination for a long weekend break or spa holiday as it's easy to relax and unwind here. Walk along one of the Jersey beaches or play a round of golf at one of Jersey's golf courses . Read more on our Jersey Events page! Copyright ©2008-2019 Hotels Online International Ltd. All rights reserved. A HOL-Canvas booking portal by Hotels Online.